Remember that dis-ease feels comfortable in dis-ease. Ask for the help you need and desire. Even if it’s simply praying to want to forgive. Start where you are. 2. Take responsibility for anything you’ve ever done, and realize that people, including yourself, make mistakes. 3. Stop taking it personally, and making it a story that’s AGAINST you. Remember, that it’s usually not personal. Even when it affects us personally. 4. Own your part of the story, and then FORGAVE YOURSELF. 5. Write a letter of forgiveness to yourself. Say whatever you need to say…list out all the things that you’ve done, and feel you need forgiveness for. Then symbolically and ceremonially let it go, and release yourself. 6. Write a letter saying everything (nasty and otherwise) that you’d like to say to the person who wronged me. End it with a bunch of “!!!!!!!!! !”…then get rid of the paper. 7. Remember that forgiveness is a process that has layers, and can have many layers — like an onion. Let the tears flow. Let it go. Don’t worry about “forgetting”…this process will help you go beyond that. It will help RENEW your mind. With your RENEWED MIND, you can experience a transformed life. Both life and forgiveness are a process of transformation. 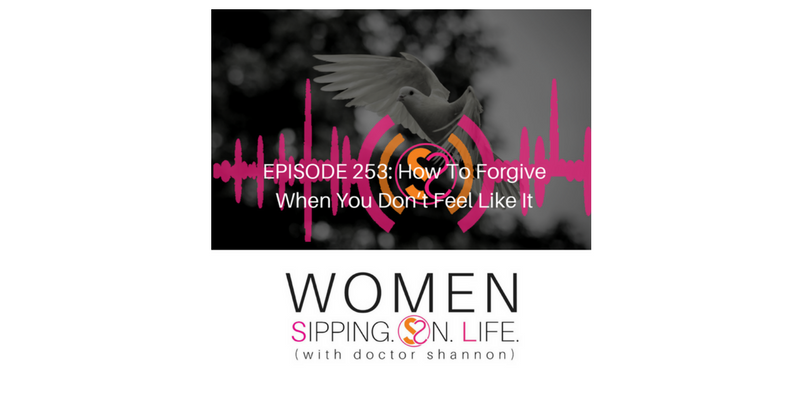 Write down where you’re holding “unforgiveness” toward someone or something in your life. Circle the one, or ones, you’re ready to forgive. Grab a piece of paper and begin to write a letter of forgiveness. Say what you need to say, and feel what you need to feel…until you feel it’s finished. Maybe the first person on that list is YOU. Do yourself a HUGE favor, please begin this process today.